The mechanisms of action of serrapeptase, at the sites of various inflammatory processes consist fundamentally of a reduction of the exudative phenomena and an inhibition of the release of the inflammatory mediators. This peptidase induces fragmentation of fibrinous aggregates and reduces the viscosity of exudates, thus facilitating drainage of these products of the inflammatory response and thereby promoting the tissue repair process. Studies suggest that serrapeptase has a modulatory effect on specific acute phase proteins that are involved in the inflammatory process. This is substantiated by a report of significant reductions in C3 and C4 complement, increases in opsonising protein and reductions in concentrations of haptoglobulin, which is a scavenger protein that inhibits lysosomal protease. 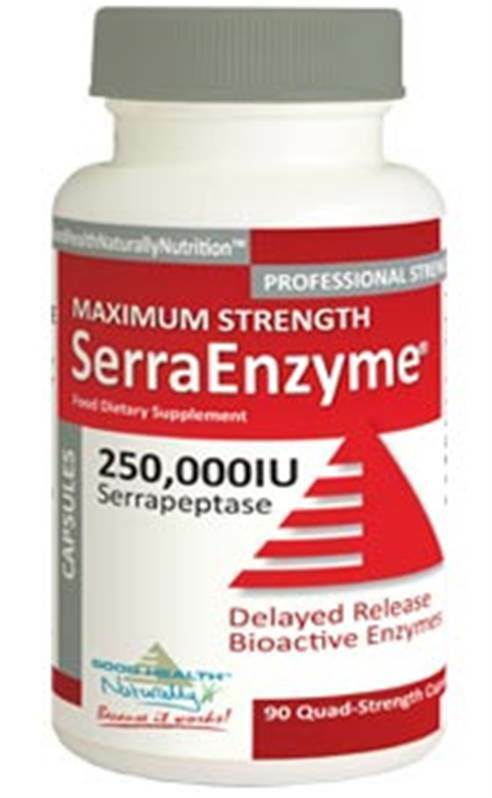 Serra Enzyme™ is the Serrapeptase enzyme that earned the title... ‘The Miracle Enzyme’. Its wide use throughout the past 30 years, 23 studies, successful use by doctors throughout the world, and its fantastic library of testimonials makes this the essential supplement to what you don't find in your everyday diet. By helping to prevent and remove dead tissue and unhealthy inflammation, it allows the body’s naturally healthy processes to function.